London was well acquainted with fires but the Great Fire was by far the worst London ever experienced. About two o’clock on Sunday morning, the second of September, 1666, an assistant to the king’s baker, who lived with the baker and his family above the bake house, awoke to find his tiny room full of smoke. He alerted the rest of the household, told them of the loud crackling of burning timber from below, and urged them to escape immediately. Within minutes flames began to consume the steps leading to the upstairs so there was no way of escape in that direction. They all climbed into the attic above, squeezed through the narrow window that opened on to the roof, and scrambled along to the next house from which they could reach the ground and escape. Many others were less fortunate as flames jumped from house to house across the city. Before the end of the day the fire was out of control and all efforts were focused on rescuing people and taking them to a safe place. London was well acquainted with fires at this time and this familiarity tended to make people indifferent to reports of fires. People waited too long in 1666 and, as a result, many lives that could have been saved were lost. It is easy to understand Londoners’ indifference to fire alarms; they have been experiencing fires from their earliest days during the time of Roman occupation of the city in the first century. In his classic publication, London, the Biography, Peter Ackroyd gives a list of dates for the known fires that swept over some or all of London in the years before 1666: 60, 125, 764, 798, 852, 893, 961, 982, 1077, 1087, 1093, 1132, 1136, 1203, 1212, 1220, and 1227. There were other fires in the more than four hundred years between 1227 and 1666 but records for these were not well kept. The slow reaction to the 1666 fire was almost universal, partly because people thought it was just one more fire that would soon go out but also because, for a short time after the first house went up in flames, there was a time delay before the second house caught fire. Furthermore, there were underlying environmental factors that would make this fire more destructive than all the previous ones. The month of August, 1666, had been exceptionally hot with almost no rain so the thatch and timber of the crowded buildings were the kind of tinder that would quickly ignite. Additionally, as the fire grew from its beginnings in a house near London Bridge, it was aided by a wind from the southeast that pushed the flames westward and northwestward toward the vast majority of the houses and public buildings that were occupied by the city’s half million, probably Europe’s most populated city at that time. The narrow streets, all that were needed four hundred years ago for horse-drawn wagons, made it easy for fires to jump to the other side of a street. The houses on either side were even more accessible as they formed a continuous line of buildings so each home caught fire from its contact with the next. Public officials were not allowed to pull down parts of houses that had caught fire because they would be held responsible for all the damages if the building did not completely burn down. Therefore, they had to wait until the whole building was destroyed by fire before intervening. The first line of flames followed the lower elevations running alongside the Thames River, but bursts of fire appeared nearby as embers were blown ahead in all directions by the following wind. As parish churches became engulfed in fire and smoke their clerks made desperate efforts to recover the parish records and get them out of the buildings. Their priorities were clear: if you can rescue only one thing, make it the records, not the money. It was a clear indication of the speed at which the fire advanced that almost all churches rescued only their parish registers. The most troublesome loss of all on this first day was the destruction of the water conduit, a large lead pipe that carried water uphill to the center of the city. The wooden wheels that pumped the water from the river burst into flames as the fire reached them and the lead melted under the heat. As we will see in later accounts of both fires and earthquakes, it was the loss of water rather than the actual flames that caused the greatest amount of damage. That was true for the San Francisco earthquake and the subsequent fire in 1906 and in the Tokyo earthquake of 1923. In the case of London, no one would get access to water in any quantity for more than a year, a particularly dangerous condition for a city that had so recently survived the scourge of the Black Death and was very much aware of the risks of endemic diseases. Pepys took a boat and moved upstream under the bridge to observe more closely the rapid advance of the fire along the banks of the river. No one tried to fight the fire in any way and this surprised him. All efforts were directed at getting valuables out of homes before they went up in flames. Any barge or boat on the river became a target on to which people threw their clothes and other larger possessions. They then found their way, as best they could, on to these same boats or barges to watch the sad spectacle of their houses being destroyed, wondering all the time about their future prospects. 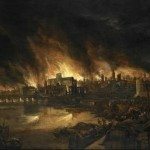 Pepys watched with horror as one of the great landmarks of the city, the church of St. Laurence, which had a steeple that soared above all other buildings in the city, burst into flames while the main line of the fire was still some distance away. He concluded for the first time that this was no ordinary fire like those that had come before it. Others too came to the same conclusion. Up to this moment most of the city’s population had gone about their normal activities, attending church and offering prayers for the unfortunate people along the river who had lost their homes. Now, as St. Laurence’s steeple came crashing down before the eyes of most Londoners, a state of near panic set in. By afternoon of the first day the fire had reached Whitehall and Westminster Abbey and every department of government was under threat yet, at the Palace of Charles the Second, little was known of the extent of the fire. Pepys arrived at the palace at this time where he told all the staff about the things he had seen. A general alarm soon spread as far as the king and Pepys was called in to repeat his report. He used the opportunity to urge the king and the Duke of York, who happened to be at the palace, to give command that houses be pulled down ahead of the fire. This move had been avoided up to this time because of the liability risks. Now it was apparent that no alternative could stop the fire so the king instructed Pepys to go to the lord mayor of London and command him to spare no houses in order to stop the spread of the fire. Pepys found it hard to get to the lord mayor’s place in the eastern part of the city. Every spare wagon had been commandeered by a few who were escaping with their possessions and the streets were clogged with people. The lord mayor threw up his hands in desperation when told of the king’s command. “What can I do?” was all he said. He went on to explain to Pepys that no one would obey him and whenever he and one or two others began to pull down houses the fire overtook them before they could complete their work. He had started the demolition of buildings in the night and was tired from six hours of continuous work. Monday, the third of September and the second day of the fire, was another warm day with the strong wind from the southeast still blowing. It had become even stronger during the night, so strong that ships in the English Channel had to take shelter on the French side. The glare of light reflected from the smoke clouds overhead had been visible all night as the fire continued to sweep westward over the great houses in and around Westminster and farther west in and beyond Chelsea. The world outside London slowly became aware of the tragedy. Often half-burnt newspapers would be carried by the wind up river as far as Eton. One writer described London’s yellow smoke as the output of a giant furnace ascending to heaven, a smoke so great that it darkened the sun at midday. No one person was yet fully aware of the scale of the fire. There were no methods of communication that could inform them. Thus, on this second day of the fire, people were still arriving at friends’ houses with their belongings not knowing until they arrived that their friends were busy gathering what they could take away with them before the fire struck. September the fourth, the fire’s third day, saw the wind abating and the advance of the fire firmly stopped by an order from the king to use gunpowder to blow up houses in the path of the fire and thus create an effective break. As the smoke cleared and people could see the desolate mass of ruined homes, stumps of chimneys, and broken towers, many of them left the city for good with no hope or wish ever to return. Most of London had been destroyed. The work of reconstruction would be enormous. One sad aspect of the fire was the behavior of some who had carts and coaches for hire and decided to charge exorbitant prices for carrying personal possessions out of the city. Survivors had no choice; they had to pay the price or forfeit their possessions. Only one-fifth of the city was untouched by the fire. The reconstruction had to be seen as the creation of a new city and, to their credit, Londoners accepted the challenge and got to work. All the city homes were rebuilt or replaced within five years. The new streets were wider and brick became the common building material instead of wood. For the first time in the history of the city and after the many fires that had assaulted it over that time, London now had a fire insurance plan in place. Never again would the possessions of hundreds of thousands of people be wiped out by a single fire. On July 19, 64, the same date four and a half centuries earlier when the Gauls set fire to Rome, a fire broke out near the Circus Maximus and quickly spread all over the city of Rome. Large numbers of people lived in timber-framed tenements and, in the warmer weather of July, these readily provided the needed fuel for a fire. Over a period of six days, and then after a short lull, bursting into flames again for a further three days, the flames destroyed 70 percent of the city. Many of the most important buildings were destroyed and thousands lost their lives. One archeologist, examining the ground twenty feet below present levels, found nails that were partly melted by the heat before they fell from burning timber. Coins too were found in the same area, remnants of the possessions of the hapless victims that could not escape the fire. The aristocrats lived on the higher ground of Rome and once a few tenements were ablaze, firestorms swept upward to higher and higher ground and burned their mansions. Experiments by archeologists trying to reconstruct the scene from 64 discovered that temperatures quickly rose beyond a thousand degrees Fahrenheit. This level of heat readily creates a vortex of swirling flames that reach higher and higher in order to find oxygen, to places like Capitoline Hill where the larger homes were. Attempts to put out the fire were hampered by the terrified cries of the many people who had nowhere to go. The speed of the flames soon caught up with them as they ran away from burning buildings. The emperor, Nero, was away in the eastern part of the empire at this time and he quickly returned as soon as news of the tragedy reached him. Emperor Nero opened the Field of Mars and the Vatican Gardens to refugees and arranged food and shelter for them. Supplies were brought in from neighboring towns and the price of corn was cut back for a time to a small fraction of its normal price. Roman society attached great importance to anniversaries of any kind and on this occasion, because it was such a vivid reminder of the earlier malicious attack by the Gauls, the people wondered if this, the worst fire in the history of the city, was an omen of good or a harbinger of evil. In spite of his generosity to survivors, it was not long before rumors began to circulate that Nero was responsible for all that had happened. Had he started the fire, people asked, in order to make space for another building he wanted to erect? This kind of thinking was typical of the times. When news was good the ruler is praised. When a disaster occurs, the ruler is blamed. Furthermore, it was generally known that Nero had grandiose ideas about the city, wanting to demolish the older tenements in favor of elegant buildings that fitted the greatness of Rome. Nevertheless, historians were doubtful about Nero’s involvement because his palace was a victim of the fire. This building, the Domus Transitoria was a magnificent structure that stretched from the Palatine Hill to the Esquiline. It was also noted that Nero was in the eastern Mediterranean at the time of the fire. Fires were commonplace in Rome. Dozens broke out every day. Roman historian Tacitus was one person who was convinced that Nero was responsible but many Romans thought it had been triggered accidentally. In the course of the conflagration some people were seen to be spreading the fire while others prevented attempts to extinguish it. Was this the work of people acting under orders or were they just looters taking advantage of the chaotic situation? They were neither but rather were gangs of irresponsible people wandering the streets looking for anything they could steal. When the fire finally burned out only four of the city’s fourteen districts had been untouched by the fire. Lost in the flames were all kinds of art works, both Greek and Roman, and many of the temples were also destroyed including Vesta and Jupiter Stator. 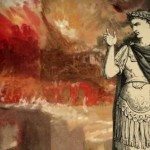 Firefighting at the time of Nero was sharply contrasted to everything we know today about fighting fires. The people involved were slaves. They were the losers in the military campaigns that Roman generals waged around the empire and they were brought back to Rome to serve the city by doing the jobs that no one else wanted. These fire-fighting slaves had been organized into seven groups, each responsible for two of Rome’s districts. Each group was given buckets for use in case of fire. Whenever they were called to deal with a fire they formed bucket lines through which water was passed by hand to the fire where it was squirted on to the flames with a hand-held device that served this purpose. As soon as the fire stopped, Nero closed off the devastated places so that the debris could be removed. Even those who were owners of homes or renters were prevented from returning. They had to fend for themselves in areas outside the city, finding food and shelter as best they could, wondering if and where they might ever again have a place within the city. All of this added to Nero’s already poor reputation among the lower classes. As soon as the old sites were cleared, Nero began the reconstruction. He had a number of triumphal arches erected throughout the city and he rebuilt the temples of Vesta and Jupiter Stator and other places of importance that had been destroyed. His tendency to be extravagant soon became evident in these new buildings as the new Rome took shape. Each building was bigger and more ornate than the one that had been lost in the fire. Nero added a huge arena close to the site of the present Vatican City. When he came to rebuild his former palace, Domus Transitoria, Nero’s megalomania became obvious. In the new palace, which he named the Golden House because of all the gold, precious stones, and ivory that it contained, he envisioned an imperial residence, something far beyond the former palace. He added numerous pavilions, each linked to another with covered walkways, forming a small city within the larger one. Additionally, there were temples, baths, gardens, fountains, and a large artificial lake covering 200 acres that later became the site of the Roman Coliseum. To top off all this madness Nero had a bronze statue of himself erected close to the palace’s entrance. It stood more than a hundred feet high and could be seen from any part of Rome. The city of Perm, lying on the European edge of the Ural Mountains 1,400 km (780 mi) east of Moscow, rarely appears in the international headlines, even though it is Russia’s sixth largest city with a population of over one million. On a weekend in early December 2009, however, it found itself facing the full glare of the world’s media, but not for a reason it would ever have chosen. A private party was in full swing at the Lazy Horse, a city-center nightclub that was celebrating its eighth anniversary. Between 250 and 300 guests were enjoying a floor show which apparently included fireworks. When one of these set light to wickerwork decorations on the ceiling, the flames spread through the building in seconds. In the pandemonium that followed many people were overcome by the heat and thick smoke, while others were crushed in the stampede to flee the building. Most had little chance of getting out unscathed as there was only one narrow exit from the club and fire regulations had been patently ignored. There was a national outcry following the tragedy, by far Russia’s worst fire disaster since the fall of communism. The government in Moscow lambasted local and regional officials for having ridden slipshod over basic fire and safety procedures. In the immediate aftermath four people, including the club’s owner and the supplier of the fireworks, were arrested and charged with manslaughter. They had apparently ignored repeated demands from the authorities to modify the interior to make it comply with safety standards. The city’s mayor and entire regional administration also resigned en masse, amid accusations of endemic corruption among fire inspectors who were alleged to turn a routine blind eye to fire code violations in return for bribes. What was the Perm Nightclub Fire death toll: 149 people died, including many later in hospital from the severe burns and other injuries sustained. You should know: Lax enforcement of fire and safety regulations is sadly not untypical in Russia which, with some 18,000 fire-related deaths a year, has the worst such record of any developed country. 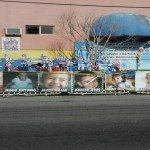 When in June 2009 fire spread from a warehouse to a center minding the children of local workers, it set in motion a chain of events that shocked the whole of Mexico and left the residents of the northern city of Hermosillo inconsolable with grief. The fire started at around 15.00 in a heating unit and soon breached the thin walls of the center, filling it with noxious fumes. Around 150 staff and children were present at the center when the blaze began. There were several notable acts of individual bravery as fire crews, parents and passers-by strove to rescue children from the inferno. One desperate father drove his vehicle through the walls of the center. His actions led to the rescue of many children, though sadly not his own. With anguish etched on their faces, the families could do little more than wait behind a yellow police line to see if their children had been spared. Thirty children died at the scene, mainly through smoke inhalation and the collapse of a ceiling, while 40 needed urgent hospital attention. A further 17 children died later as a result of their injuries. Although government funded, the center was privately run. A lax system of inspection allowed it to function even though it had no working emergency exits, no sprinkler system and a partially obscured fire alarm. Proper safety measures were made all the more important by the fact that the authorities had allowed the setting up of a childcare center on an industrial estate containing a large amount of highly combustible material. The bereaved parents’ grief soon turned to anger and they demanded greater transparency in the childcare system and, above all, that someone should be held to account for their heartbreaking loss. You should know: Even though the center was licensed to cater only for children over two years, such was the demand for their services that some as young as six months were being looked after. 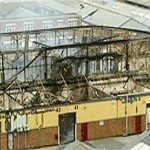 When in 2004 fire ripped through an East London warehouse housing a large selection of British contemporary art, certain sections of the print media could scarcely contain their glee. Purporting to speak for their readership, they had always seen the Britart movement as a scam foisted on the British public by talentless artists and funded by a rich patron – Charles Saatchi. For them art should be nothing more challenging than a rural idyll in a gilt-edged frame. One artist in particular got their goat and when Tracey Emin burst on the scene with ‘that unmade bed’ they took great delight in mocking it. But, by putting it on the front page of newspapers that sold in their millions, they ensured that the work of the Turner Prize-winning artist reached a truly mass audience. Any publicity was good publicity and, fuelled by their notoriety, artists such as Emin, Damien Hirst and the Chapman Brothers flourished and prospered. When not being displayed, many of their works were housed in the Momart warehouse – a storage facility leased from a removals company. A fire started when burglars sought to cover their tracks in an adjacent building by torching it. The fire quickly spread throughout the whole complex, destroying such notable works as Emin’s ‘Everyone I Have Ever Slept With 1963-1995’ and the Chapman Brothers ‘Hell’. 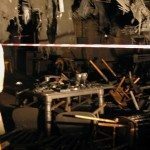 The fire was not fully extinguished for a full two days and it was feared that all the artworks stored were lost. Miraculously some works did survive the blaze, including ‘Charity’ -a bronze by Hirst. While the art world mourned its loss, Tracey Emin put things into perspective stating that, when set against the suffering in places such as Iraq and the Dominican Republic, the destruction of her work was of only minor importance. Toll: The artworks lost were valued at between £30 and £50 million. You should know: Many artists, patrons and curators questioned the wisdom of housing such important works in what was a multiple-occupancy building. Even after the fire those who lost their collections were treated to the further indignity of seeing Uri Geller sifting through the wreckage. He told the media that he wished to create a single piece from the fragments he found – thankfully the threat of legal action put a halt to his ill-conceived plans. There is a growing body of opinion in developed countries that people’s freedom is becoming stifled by health and safety legislation and that somehow society has become too risk averse. However, it might be worth imagining a culture where such legislation is thin on the ground and where even this can be circumvented by greasing the palms of dishonest officials with relatively small amounts of money. Although by 2004 Argentina had shaken off the shackles of a brutal military junta, its civilian infrastructure was riddled with corruption. The events on New Year’s Eve of that year at Republica Cromanon nightclub came to embody much that was wrong with the new Argentina. More than 3,000 revelers crammed into the venue to see Los Callejeros, a popular local rock band. The arena was lavishly decorated with, at its centerpiece, a Media Sombra (‘half shade’) in the form of a giant net. Literally everything that was used to adorn the venue was highly flammable. Fireworks are a central part of seasonal celebrations in South America and, despite warnings from the band, a flare was set off in the crowd. The overhead netting immediately caught fire and showered the crowd with fragments of molten plastic. Overcome with fright, everyone made a dash for the exits only to find most of them firmly locked. Within a few minutes the whole place became a raging inferno as fee foam decorations began to burn, spewing noxious fumes into the nightclub. The air turned more and more poisonous and scores of people died from asphyxiation while hundreds more suffered lung damage from the toxic smoke. 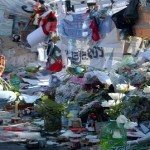 You should know: A subsequent inquiry revealed that the inspection system was severely flawed, in 2006, the mayor of Buenos Aires was impeached and removed from office and, in a trial some four years after the fire, the club’s owner, its manager and a local official received lengthy prison sentences.